A detailed Melbourne business hotels review with a fun guide to boutique beds, shopping and dining, by Chris Pritchard, Jane McLean, and more from Smart Travel Asia and Dancing Wolf Media. 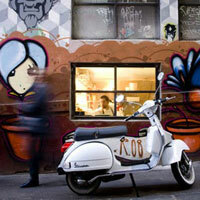 Melbourne is a giddy whirl of trendy eateries, art by the mile, shopping, and the wholesome outdoors. Our Melbourne guide to the top business hotels, chow and fun. MELBOURNE has changed. Suddenly it is overflowing with pizzazz, its former dowdy, early-to-bed image seeming hopelessly out of date. Australia’s number-two city began to shake off its lack-lustre reputation some 25 years ago and has since arguably become the country’s liveliest metropolis, though rivalry with the brasher harbour-side Sydney remains intense. 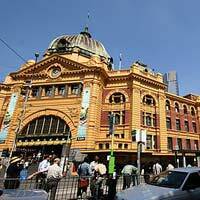 Melbourne shopping is not to be sniffed at and Melbourne business hotels rival the best anywhere. Home to over four million of Australia’s 23 million people, Victoria’s state capital has become increasingly cosmopolitan. At the last count it boasted 140 nationalities speaking 151 languages (besides English, the official tongue). The result: a distinctive, cosmopolitan mood. What’s more, Melbourne vigorously pushes its self-appointed role as the nation’s arts capital, as well as its headquarters for food, wine and coffee appreciation. It also justly considers itself – tipping its fedora respectfully toward Italian influences – the most fashionable and best-dressed place in Australia. The creative types drifting away from Melbourne over past years have started to frantically back paddle. The city languished stubbornly in the economic doldrums until the mid-1980s. In desperation, local officialdom decided to reinvent their home town’s image, and out went fuddy-duddy licensing laws that stifled innovation in the food and beverage industry. Alfresco restaurants mushroomed, despite chilly southern hemisphere winters. Run-down lanes with abandoned warehouses – a reminder of a collapsed garment industry – were morphed into geographic highlights. Successful campaigns wooed upwardly mobile residents to the city. New towers sat cheek by jowl with sensitively renovated loft-style apartment buildings, and service industries catering to this new market moved in, too. Increasingly, Melbourne became event-driven. Crowd-pleasers as diverse as motor-racing’s Australian Grand Prix (www.grandprix.com.au), the Australian Tennis Open (www.ausopen.com) and April’s Melbourne International Comedy Festival (www.comedyfestival.com.au) with its irreverent menu of stand-up comedy, short films, musicals and cabaret became fixtures on the calendar. They ensured a strong inflow of visitors, as did the upgrading of theatres, roads and just about every other component of its infrastructure. Important international conventions now head here, a place they formerly shunned. Hotels in all price categories have become numerous – so much so that if you don’t like your room you can easily move, except during super-peak times such as the Melbourne Cup horse racing event (www.vrc.net.au), which is held each November and merits a city-wide public holiday here. Another event set to become a regular is the now global ‘White Night’ phenomenon. It hit Melbourne in 2013 and attracted more than 300,000 people. In February, the city’s streets, landmarks, cultural institutions are transformed into a cultural playground with street performances, art and light installations, concerts, dance, interactive events, music and multimedia projections. Check www.whitenightmelbourne.com.au for dates. On with our Melbourne fun guide and, of course, those glitzy hotels. Melbourne Airport (tel: [61-3] 9297-1600, www.melair.com.au) is uncluttered, recently refurbished and easily negotiated. International and domestic services are handily housed within the same building. Twenty-five airlines connecting Melbourne to foreign ports occupy the mid-section, with domestic carriers like bookends. The latter are Qantas (tel: 131-313, www.qantas.com), Jetstar (tel: 131-538, www.jetstar.com), Virgin Australia (tel: 136-789, www.virginaustralia.com), Skywest (tel: 1300-66-00-88, www.skywest.com.au), Tiger Air (tel: 9034-3733, www.tigerair.com) and regional Rex (tel: 131-713, www.rex.com.au). The route from terminal to taxi rank is flanked by the kiosks of multi-national and local car rental companies. Silvertop Taxis (previously Melbourne taxis, tel: 131-008) are uniformly yellow and metered. About A$45 should get you to your hotel in around 30 minutes. A surcharge may be added on top of the metered fee if travelling between midnight and 5am or for toll charges. The route is mostly along a freeway, providing a good opportunity to make telephone calls (foreign mobiles roam efficiently into Australian networks). An alternative to taxis, also outside the terminal, is the Skybus (tel: 9335-2811, www.skybus.com.au) at A$18 one way ($30 return) with hotel drop-offs and pick-ups. Around the city, cabs can be telephoned, hailed on the street or found at abundant taxi ranks. Most trips cost between A$10 and $20. However, Melbourne’s famed trams, or streetcars (tel: 131-638, www.ptv.vic.gov.au) trundle efficiently across the downtown area and into suburbia, with fares that start from around $3.50. A smart card (called myki) enables travel on the city’s trams, trains and buses. International visitors can buy a full-fare or concession myki from the visitors’ centre at Federation Square or the Southern Cross Station (or enquire at your hotel). A visitor myki pack contains a pre-loaded smart card with enough value for travel all day in Zone 1 (including the entire tram network). 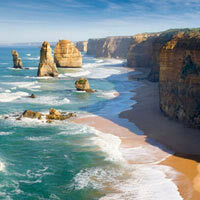 It also has various discount offers for some of Melbourne’s main attractions. Grid-pattern Melbourne is foot-friendly. It is sometimes termed a “city of villages” because of its multitudinous and very different neighbourhoods. In the city itself, explore Flinders Lane and other nearby lanes with their numerous restaurants, bars, coffee houses, art galleries, fashion boutiques, stylish apartment buildings and eccentric special-interest shops. A few blocks away lies the main retail and office strips: Bourke Street (partly pedestrianised as Bourke Street Mall), Collins Street and Lonsdale Street. David Jones (310 Bourke Street, tel: 9643-2222, www.davidjones.com.au) and Myer (295 Lonsdale Street, tel: 9661-1111, www.myer.com.au) are the main department stores. Chinatown runs the breadth of the downtown area, along narrow Little Bourke Street and down its side streets. It’s a convenient locale for dozens of quality restaurants, mostly, but by no means all, Chinese. At the edge of downtown Melbourne is the newish and architecturally adventurous Federation Square, which residents either love or hate. Its buildings are strikingly modern and angular, housing galleries, shops, offices and popular dining and drinking establishments. From Federation Square, cross the street and walk for 10 minutes along the bank of Melbourne’s Yarra River – where tour boats ply a now-pristine waterway – until you reach the vast Crown Entertainment Complex (tel: 9292-8888, www.crownmelbourne.com.au). This houses Australia’s largest casino, with standard table games and an enormous expanse of slot machines (called poker machines or pokies in Australian parlance). The complex includes three upscale hotels, two day-spas and dozens of restaurants, including some of Melbourne’s best. Indeed, the presence of so many non-gambling diversions makes Crown pleasingly different from casino developments elsewhere. Just a short walk away, Docklands is an alternative after-hours area with a large sports stadium, new apartment high-rises and an up-and-coming restaurant strip – all built where former railway workshops once rusted. Most of Melbourne’s renowned precincts are in the inner-city suburbs, only a few minutes by cab (slightly longer by tram) from downtown. Locals and visitors alike adore the restaurant rows. Among the most outstanding are the multi-national Acland Street in St Kilda (a popular beachside suburb), Italianate Lygon Street in Carlton, Vietnamese and Greek-themed Victoria Street in Richmond, multi-cultural and “alternative” Brunswick Street in Fitzroy, Spanish Johnston Street (also in Fitzroy), upmarket Toorak Road in Toorak and oh-so-fashionable Chapel Street in South Yarra. There has been a restaurant explosion in Fitzroy’s Smith Street. And there’s more, encouraging deeper exploration into pockets of Melbourne, brimful with Arabic, Turkish, Russian and other more recent immigrant influences. Attica (www.attica.com.au) in Ripponlea is one of Melbourne’s most sought-after dining spots, so book ahead. It serves up fresh contemporary fare and wins all kinds of awards, so foodies will be in heaven. Glamorous, sitting 55 floors above Melbourne in the iconic Rialto building in Collins Street is Vue de Monde (www.vuedemonde.co.au), presenting a menu filled with fancy words like ‘deconstructed’, ‘emulsion’ and food like kangaroo, smoked trout and Wagyu beef. More fine dining is to be found at Jacques Reymond (www.jacquesreymond.com.au) in the suburb of Prahran. Smith Street as mentioned is one of the many ever-expanding dining precincts – check out Saint Crispin (www.saintcrispin.com.au), reportedly leading the dining drift towards excellent modern food, hip but not too designer stuffy, and none of the snootiness that often comes with fine dining. Flower Drum (tel: 9662-3655, www.flower-drum.com) is in Market Lane, Chinatown and has an impressive array of awards, consistently hoisting it among the best of Melbourne’s top-end Chinese restaurants. Another option for excellent yum cha is Spice Temple in Southbank (www.spicetemplemelbourne.com). DOC Albert Park (www.docgroup.net) is the pizzeria of the moment (there is also a DOC Pizzeria and DOC Delicatessen in Carlton as well as an outlet in Mornington), famed for great pizza and a vibrant atmosphere. For modern Greek cuisine in an old-world souvlaki bar setting, try Jimmy Grants (www.jimmygrants.com.au) on Fitzroy, the latest offering from famed Melbourne celeb chef George Calombaris. He also created The Press Club (www.thepressclub.com.au), Hellenic Republic in Brunswick and Kew (www.hellenicrepublic.com.au), Gazi in the CBD (www.gazirestaurant.com.au) amongst others. Grossi Florentino in Bourke Street (www.grossiflorentino.com) offers good Florentine fare in classic Italian surrounds. Similar to other leading food cities of the world, Food Trucks are a thing in Melbourne too, offering excellent food from mobile trucks in various random inner city locations. The trucks regularly pull up in areas in the CBD, Docklands, inner northern suburbs (Carlton, Brunswick, Fitzroy, Northcote) and the inner east (Richmond and Collingwood). Download the ‘Where the Truck At’ app if you are super keen. Really, it must be reiterated, restaurants, cafes, wine bars, pubs abound all over Melbourne. Cheap and cheerful, formal or pricey, there are places to suit everyone’s taste and budget. And if you want to self-cater, or have a picnic in an inner-city park, head to one of the superb markets for cheese, olives, fresh produce, breads, chocolate, coffee, salami and cured meat galore. Queen Victoria Market (www.qvm.com.au) is magic, so is the Prahran Market (www.prahranmarket.com.au). Check the websites for trading days. Melbourne’s cultural scene is anchored by the Arts Centre (100 St Kilda Road, tel: 9281-8000, www.artscentremelbourne.com.au), which mounts classical music, drama, ballet and other performances. Look for the landmark building with its tall, distinctive spire at the edge of the Yarra. Its near-neighbour is the National Gallery of Victoria (180 St Kilda Road, tel: 8620-2222, www.ngv.vic.gov.au) with collections from old masters and contemporary greats in recently refurbished galleries. The National Gallery’s Australian collection – which includes Aboriginal, colonial-era and modern items – fills the purpose-built Ian Potter Centre on Federation Square, three minutes walk away on foot. The Australian Centre for Contemporary Art in Southbank (www.accaonline.org.au) is, obviously, more contemporary in style and substance and is housed in an architecturally distinctive rust-red structure. The modernist buildings of the Melbourne Museum (11 Nicholson Street, tel: 8341-7777, www.museumvictoria.com.au) contain a broad overview of the city’s history, people and lifestyles during different periods, along with clever interactive displays. 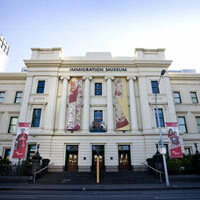 However, a more specialist insight into Melbourne’s multicultural make-up is available at the Immigration Museum (400 Flinders Street, tel: 9927-2700). This is housed amid the grandeur of the 19th-century Old Customs House and offering the chance to clamber aboard a replica of a colonial-era sailing ship that carried immigrants to Australia in appalling conditions. Melbourne has many grand old theatres, most clustered together in a corner of the downtown plot informally dubbed “theatreland”. Most of these have been impressively restored. Crowd-pulling musicals (of the Cats or Les Miserables ilk) are frequently staged. The most ornate of these theatres are the Princess (163 Spring Street, tel: 9299-9800, www.marrinergroup.com.au) and Her Majesty’s (219 Exhibition Street, tel: 8643-3333, www.hmt.com.au). If you are keen on seeing Melbourne from above, the newly opened Melbourne Star in Docklands (www.melbournestar.com) will tick that box. It is a giant ferris wheel (rather like the London Eye) that has been years in the making, but is now ready to fly. A single ‘flight’ fare is A$32. Also, Eureka Tower (www.eurekaskydeck.com.au), a super high building in Southbank has various experiences not for the feint of heart. Entry to Skydeck 88 (the highest viewing platform in the Southern Hemisphere) is A$18.50. Pay extra for entry to the ‘Edge’ a glass cube suspended some 300 metres above ground. Inevitably, many visitors to Melbourne seek out diversions in other parts of compact Victoria – either as self-drive options or on widely-sold organised tours (ask at your hotel). Among the most popular out-of-town detours are the state’s ski resorts (in mid-year winter months), the Yarra Valley (www.wineyarravalley.com) vineyard trail (stopping at cellar doors), the ocean-hugging Great Ocean Road (www.visitgreatoceanroad.org.au), through rural arts-and-crafts towns, the famed surf spot of Torquay, and regularly included among the world’s great drives, and Phillip Island Nature Park (tel: 5951-2800, www.penguins.org.au) with its resident penguin colonies. Phillip Island is linked to the mainland by a bridge. This is mass-tourism bus trip territory, so here’s a tip: splurge on the Ultimate Penguin Experience package at A$84.20 a head for a group excursion of no more than 10. Then find yourself whisked away to a beach with supplied night-vision glasses, watching the cute little critters make their nightly scramble ashore after a day’s fishing. They often waddle obliviously across the outstretched legs of visitors. Trips to see seal colonies and koalas can also be added. While day trips to Phillip Island are a popular choice, another possibility is checking in at one of Phillip Island’s many B&Bs, motels or hotels. A 20-minute ferry trip from Phillip Island is Victoria’s largest isle, French Island. It’s rural, has only a few guesthouses and offers tours to see some of the many koalas that call the island home (or at least would do, if they could talk). Surprisingly, considering its location under two hours’ travel from central Melbourne and the fact that celebrities such as entertainer Kylie Minogue have bought island homes, French Island manages to give the impression that it is far more remote than it actually is. As yet it’s visited by relatively few Melbourne residents. 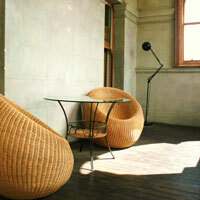 Melbourne beds, boutique options and budget digs offer a vast array of choice. A long-time favourite, along Spring Street and across from Victoria’s State Parliament and other imposing stone edifices, is a grand colonial-style pile called the Windsor, some 130 years old. Nothing creaks internally these days, thanks to a multi-million dollar facelift bankrolled by its former owner-operators, Oberoi. The India-based chain has pulled out but standards haven’t slipped, and the now-independent Windsor is a claimant to being Melbourne’s top hostelry. The ambience is of an exclusive club; don’t miss afternoon tea at 111 Spring Street, an off-the-lobby restaurant. The 180 rooms are mid-sized with all expected business features (wireless internet access, iPod docks, in-room safes), even if these are often cunningly concealed (so as not to defile the authenticity of a property that welcomed its first guests in 1883). Expect an opulent, traditional style décor – high ceilings, marble bathrooms, patterned carpets and drapes in soft colours. The cheaper rooms all have internal views, so bear this in mind when you book. The Windsor is good value, given that general manager David Perry – a maverick among Melbourne hoteliers – believes in reducing telephone and mini-bar surcharges, stating that guests are already paying “handsomely” for their rooms and that he wants them to “feel good’ and return. Around the corner, at the fashionable “Paris end” of Collins Street is an altogether different but exceedingly stylish alternative, and one of the best Melbourne business hotels. The 363-room Sofitel – occupying the upper levels of a looming steel-and-glass high-rise – plays to the apogee of the market. Mind you, it’s a great place to take a leak. An insider tip is to ride the lift to the 35th floor where, close to a bar called the Atrium, ladies’ and gents’ toilets offer memorable views of Melbourne and its environs. No35 is the sophisticated dining space here, all dark wood, contemporary art and floor to ceiling windows taking advantage of the view. Back down to earth and the lobby-level Sofi’s is a pleasant lounge bar, popular in the evenings with both locals and visitors. 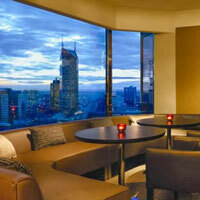 Rooms here are large, predictably elegant with extensive Melbourne vistas, and business needs are efficiently met. Laptops and cameras fit easily into the in-room safe. Other room features include iPod docks, Bose sound system, LED televisions, touch screen control panels and broadband Internet access. Down the street, the Grand Hyatt is a full-service 551-roomer with a distinct “big hotel” feel. The RU-CO bar is a fine example of the lobby level’s opulent art deco style and features rich tones, striking sculptural artworks, as well as a fairly extensive cocktail list. The hotel is renowned for having one of the city’s best health clubs and features the Sanctuary Spa for various wellness and beauty treatments. Rooms are large and immaculate, with customary business amenities, including WiFi access. 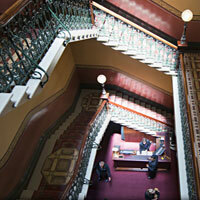 This is at once a muscle Melbourne conference hotel as well as a fine pick for small corporate meetings. A more intimate mood is apparent at the smaller, 240-room Park Hyatt, an art-filled option set in parkland close to the State Parliament and overlooking the Fitzroy Gardens, St Patrick’s Cathedral and the interesting mix of modern and Victorian architecture of the CBD. 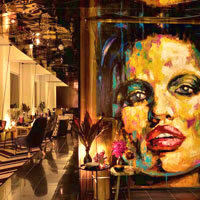 It has garnered a slew of “best hotel” awards, and checks in a mix of corporate travellers and well-heeled vacationers. Its rooms are spacious (with claims of being the largest in Melbourne), with rich browns dominant. Business features abound and include complimentary WiFi. The sleekly contemporary Radii Restaurant and Bar sprawls across five levels, and is one of the city’s best-regarded spots for business entertaining. Many of the top Melbourne hotels offer traditional afternoon tea sets and the Park Hyatt is no exception. Try The Lounge for tea, scones and a complimentary glass of sparkling wine. The Park Hyatt also has a spa, fitness centre and an indoor heated 25m pool. An easy seven-minute amble from Spring Street across Fitzroy Gardens parkland will find you at the 400-room Hilton on the Park, looking decidedly spiffy after a recent makeover. 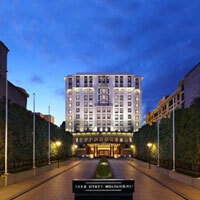 As one of Melbourne’s older five-star hotels, it has also remained one of the most popular. The cricket fraternity are avid fans thanks to its location – across Wellington Parade from the famed Melbourne Cricket Ground (MCG). Indeed, upper-level rooms with a view of the action sell out fast when major cricket matches are on. It is also close to the Rod Laver Arena where the Australian Tennis Open is held. Rooms are compact but come with Wi-Fi capabilities and Sony PlayStations. The pool is a stunner, and overlooks the cricket grounds, and the Park Lounge is a hard-to-rival spot for thirst-slaking at the end of a busy day. The Hilton brand has another property in South Wharf, one of Melbourne’s newer business and restaurant precincts. The precinct itself has not quite found its buzz yet, but the Hilton Melbourne South Wharf offers direct indoor access to the Melbourne Convention and Exhibition Centre. It is close to the Docklands area as well as the Etihad Stadium where Australian footie games are played, Formula One is raced, and concerts are held (amongst other big events). There are 396 rooms with city or bay views offering all expected amenities including LCD TVs, iPod connectivity, spacious bathrooms, ergonomic desk chairs and Broadband Internet. The larger suites offer lounge and kitchenettes, as well as floor to ceiling windows, while executive rooms allow access to the Executive Lounge with complimentary breakfast. There are three wining and dining spots onsite as well as a small fitness centre. Downtown’s Marriott (166 rooms) is another good Melbourne business hotels choice, supremely central at the corner of Exhibition and Lonsdale Streets. Because several of the city’s live theatres are close by, the hotel – formerly Rockman’s Regency – is often the thespians’ choice. The lively Lounge Bar bubbles with theatrical talk after each final curtain and Essence, with an emphasis on mod-Oz cuisine, is popular for pre-theatre dinners. It is also a skip from some great restaurants (the aforementioned Grossi Florentino and Ginza Teppanyaki). Rooms are business-like if a tad plain-vanilla with bright maroon carpets, but have expected inclusions. Service throughout is cheerily competent. There is an additional fee for in-room WiFi access. A fitness centre and indoor pool will satisfy health types. Across the Yarra and a few minutes’ stroll from downtown, is the 387-room Langham (a former Sheraton), which dominates Southbank’s Southgate entertainment and shopping complex and anchors a riverbank promenade of bars and restaurants. A showpiece staircase leads grandly to the lobby level. Aria, with subdued lighting, is one of the city’s more refined hotel lounges. Melba (named after Melbourne Opera singer Dame Nellie Melba) is on par with restaurants at other Langham properties – cooking stations and a buffet catering to all tastes. Rooms are large, contemporarily furnished and come with usual business amenities. Request a river view. The Chuan Spa offers facials, massages and treatments galore and the outdoor 15-metre pool has fine views of the city. A hop and a skip from here along the Yarra are three large, linked properties: Crown Towers, Crown Promenade and Crown Metropol. Internally linked to Crown Casino and numerous restaurants, the three share reservations systems and other infrastructure. Keep this in mind when making a reservation, as it is easy to get confused. Crown Towers rooms are super-large, many with views of the Yarra and skyline. Then there is the less gaudy Crown Promenade with its clean-lined minimalist décor. The Crown Metropol is the youngest of the three (it opened in 2010) with a whopping 650 rooms. Stylish, sophisticated, a little hip is the order of the day here. Rooms are large, with muted colours and added extras like chaise longue chairs, large LCD TVs, and iPod docking stations. Bathrooms are also spacious (no bathtubs though), and the bathroom benches overlook the room and then the city beyond. An extra $150 or so will buy an upgrade to the club lounge, which is equally swish and provides full breakfast, snacks and complimentary evening drinks. Otherwise there is Maze restaurant on site. A fitness centre overlooks the city and there is a pretty nice pool to boot. The hotels draw a mix of business and leisure customers, have large safes (for the big winners out there) and supply a full range of business amenities. There are two day-spas on site from which to choose your bliss. Downstairs, restaurants and bars range from Melbourne’s most expensive to its cheap-and-cheerful options (around 40 at the last count), but a couple of stand-outs include Silks, Crown Towers’ own Cantonese eatery, and world-renowned Japanese restaurant, Nobu. Tucked along one of Melbourne’s signature lanes is the Adelphi, a slick 34-room hideaway with a mixed bag of holidaymakers and business trippers. It’s understandably favoured by architects and interior designers – its own architects are prominently noted in the hotel’s promotional literature and its jet-black leather landscape looks freshly torn from the pages of an architectural glossy. The hotel’s most dramatic feature, however, is its rooftop swimming pool, which boasts a see-through Perspex floor jutting out above Flinders Lane. It makes for a queasy, exhilarating splash around. A change of ownership in 2013 has seen a rejuvenation of the hotel’s interior and plans to upgrade the pool deck in 2014. Bathrooms are as designer-driven as the rest of the property, and there are quaint touches such as a pillow fragrance menu. Business services are on tap (WiFi is included in the room rate) and Ezard, one of Melbourne’s most raved-about modern-Australian restaurants, is just downstairs from the lobby. (“Modern Australian”, by the way, is a hard-to-define cuisine. It uses fresh local produce, tends to be light rather than heavy and is much like Californian except that there are stronger Asian influences and less fear of spice.) The Adelphi also has its own restaurant, Om Nom. 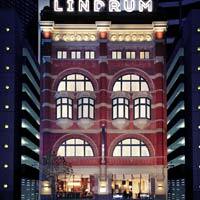 For a fine Melbourne boutique hotel choice, try the 59-room Lindrum, in a former pool hall which later served as the editorial office of a daily newspaper. A lovely brick building, rich wood panelling and deliberately under-stated lighting are features of this singularly hip outpost. A major refurbishment in 2013 has amped up the designer chic and a pile of amenities have been added in rooms (LCD TVs, docking stations, free WiFi, bespoke headboards, designer furnishings, commissioned Melbourne artwork. In-room DVD and CD players are served by a good in-house library. Small, intimate and appropriately named to honour billiard-table surfaces, Felt, the hotel’s 36-seater restaurant, is dominated by chocolate-coloured wood grains and burnt-orange curtains. Regulars include creative folk from the advertising, fashion, media and music industries. 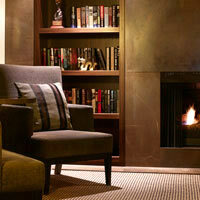 However, pre-eminent among Melbourne boutique hotels is the 40-suite Lyall. Showbiz and sports celebrities are a dime a dozen in this all-suite hotel. The location is discreet – a quiet, leafy residential spot just off South Yarra’s buzzing Chapel Street. The Lyall is as well known for the extensive treatments at its health spa as for its stylish lodgings. Suites have space to stretch aplenty, contemporary oriental design, capacious digital safes with internal power points and customary business amenities (complimentary WiFi available throughout). It’s small touches that make the difference here; bathrooms have underfloor heating for chilly Melbourne nights (of which there are a few), pushbikes are available for guests who wish to explore the city at ground level. The Library is where guests go to surf the Web, read or relax quietly over drinks – and, yes, there is a large collection of books to borrow. The Bistro Lyall offers al fresco dining on the terrace while The Champagne Bar features champagne of course as well as a small bar food menu. Owners Rowina and Peter Thomas provide hands-on management at this independent five-star, and pride themselves on name-calling. The right names of course. Another boutique hotel type, also in South Yarra, is The Hatton. Set in an Italianate style building, this property offers a variety of rooms ranging from fairly small to larger, split-level style spaces. All rooms have kitchenettes, bathrooms carrying L’Occitane amenities, LCD TVs and DVD players, complimentary WiFi. There is a small meeting room on site, a breakfast room providing complimentary continental breakfasts, and a rooftop space for chillin’. The Hatton is for the traveller looking for something smaller and a little more personal in their accommodation. A mix of styles and eclectic art installations greet visitors to The Prince Hotel in Acland Street, St Kilda. A small boutique offering, this property has 39 rooms that come in a variety of sizes and configurations, all set inside an art deco building. Rooms are light, bright and have arty interesting décor. If you want a street view make it clear upon reservation. Some bathrooms include baths but not all. The premier suite is the largest with separate living spaces and dual bathrooms. All rooms include free WiFi and complimentary breakfast. The Prince is well-known for its restaurant, Circa, and its proximity to even more hot wining and dining spots along Acland Street. Melbourne’s best cake shops are nearby too and deservedly get a mention in the hotel’s blurb. There is a spa on site, as well as a pool deck used for various functions including weddings. For relatively cheap, cheerful and convenient budget hotel accommodation smack bang in the city, the three Causeway properties get reasonable reviews. Causeway Inn is on Bourke Street Mall, and its rooms are small and non-memorable (but if you’re out shopping night and day this is not an issue). Causeway 353 meanwhile is on Little Collins Street (also within walking distance of the aforementioned Bourke Street Mall), offering 142 rooms that are a touch bigger and more stylish. Also on Little Collins Street is Hotel Causeway, billing itself as a boutique hotel. It is housed in an art deco building, so there’s that, but there is nothing particularly remarkable about the rooms. This and Causeway 353 both have small gym facilities and the three properties offer breakfast (there are no other dining facilities). They are ideal for anyone who doesn’t need all-encompassing business services and is happy with a TV set and mini-bar. Note that the three operate on a central reservation system. Suppose you’re at the airport with an early flight the next day. The 276-room ParkRoyal Melbourne Airport Hotel is linked by sky bridge to the terminal. Rooms are large, uncluttered and business friendly. They have cool colour palettes, contemporary decor and convenient facilities such as chargeable high-speed internet, minibar, coffee and tea facilities, work desk, safe and hairdryer. An entire floor is dedicated to meeting and conference space suitable for groups of up to 100 people. Cast off your pinstripes, grab that fluffy robe and enjoy some well-earned R&R in the indoor swimming pool, sauna, spa or steam room. Its outlets, conveniently grouped together, are the fine-dining Airo Restaurant, the casual Café Airo and the imaginatively named, cocktail-proficient Bar Airo. If you’re not staying long, the ParkRoyal makes a tranquil change from in-terminal options – and well-positioned monitors all but ensure you won’t miss your flight. There's also a business centre and viewing deck. All visitors, except New Zealand passport holders, need visas. Obtaining these is usually straightforward at Australian diplomatic posts. Easier still are electronic visas, for which many nationalities qualify. These are not stamped in passports but obtainable through travel agents and airlines or online at www.eta.immi.gov.au, where a list of eligible countries is available. The exchange rate is roughly US$1=A$1.35. The IDD code for Melbourne is 61-3. Departure tax is built into air tickets. More travel information is available on the Australian Tourist Commission website (www.australia.com), and on two Tourism Victoria sites, www.visitvictoria.com and www.visitmelbourne.com. A cool site with concise information and a range of activities is from Upgraded Points. Hotel rates normally include a 10 percent goods-and-services tax. The lowest rates actually available to guests may be offered by hotels directly online as a BAR rate. Adelphi. Tel: [61-3] 8080-8888, (e-mail: info@adelphi.com.au or www.adelphi.com.au). Causeway 353. [61-3] 9668-1818, fax: 9668-1877, (e-mail: reservations@causeway.com.au or www.causeway.com.au). Causeway Inn on the Mall. Tel: [61-3] 9668-1818, fax: 9650-0711, (e-mail: reservations@causeway.com.au or www.causeway.com.au). Crown Metropol. [61-3] 9292-6323, fax: 9292-6455, (e-mail: reservations.mcm@crownhotels.com.au or www.crownhotels.com.au). Crown Promenade. Tel: [61-3] 9292-6389, fax: 9292-6688, (e-mail: reservations.mcp@crownhotels.com.au or www.crownpromenade.com.au). Crown Towers. Tel: [61-3] 9292-6868, fax: 9292-6600, (e-mail: reservations.mct@crownhotels.com.au or www.crowntowers.com.au). Grand Hyatt. Tel: [61-3] 9657-1234, fax: 9650-3491, (e-mail: melbourne.grand@hyatt.com or www.melbourne.grand.hyatt.com). Hatton Hotel. Tel: [61-3] 9868-4800, fax: 9868-4899, (e-mail: hotel@hatton.com.au or www.hatton.com.au). Hilton on the Park Melbourne. Tel: [61-3] 9419-2000, fax: 9419-2001, (e-mail: melbourne@hilton.com or www.hiltonmelbourne.com). Hilton Melbourne South Wharf. 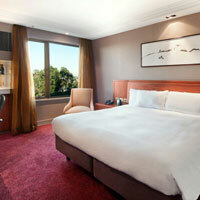 Tel: [61-3] 9027-2000, fax: 9027-2001, (e-mail: reservations.melbournesw@hilton.com or www.hiltonmelbourne.com). Hotel Causeway. Tel: [61-3] 9668-1818, fax: 9668-1877, (e-mail: reservations@causeway.com.au or www.causeway.com.au). Langham. 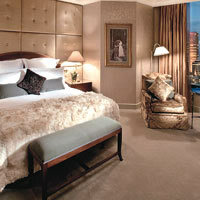 Tel: [61-3] 8696-8888, fax: 8696-5889, (e-mail: timel.info@langhamhotels.com or www.melbourne.langhamhotels.com). Lindrum. Tel: [61-3] 9668-1111, fax: 9668-1199, (e-mail: H8757-RE@accor.com or www.hotellindrum.com.au). Lyall. Tel: [61-3] 9868-8222, fax: 9820-1724, (e-mail: reservations@thelyall.com or www.thelyall.com). Marriott. Tel: [61-3] 9662-3900, fax: 9663-4297, (www.marriott.com/hotels/travel/melmc-melbourne-marriott-hotel/). Park Hyatt. 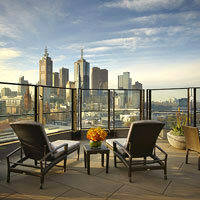 Tel: [61-3] 9224-1234, fax: 9224-1200, (e-mail: melbourne.park@hyatt.com or www.melbourne.park.hyatt.com). ParkRoyal Melbourne Airport Hotel. Tel: [61-3] 8347-2000, fax 8347-2001, (e-mail:reserve.prmla@parkroyalhotels.com or www.parkroyalhotels.com). Prince Hotel. Tel: [61-3] 9536-1111, (e-mail: thedesk@theprince.com.au or www.theprince.com.au). Sofitel. Tel: [61-3] 9653-0000, fax: 9650-4261, (e-mail: H1902@sofitel.com or www.sofitel-melbourne.com.au). Windsor. 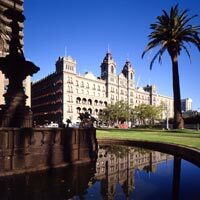 Tel: [61-3] 9633-6000, fax: 9633-6001, (e-mail: reservations@thw.com.au or www.thehotelwindsor.com.au).